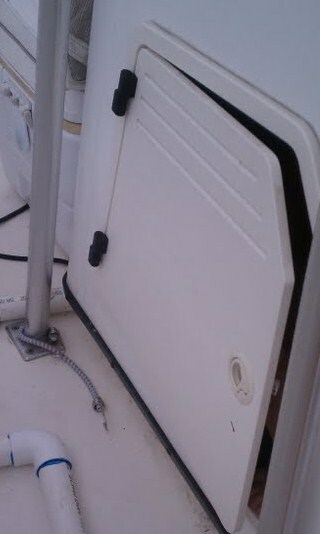 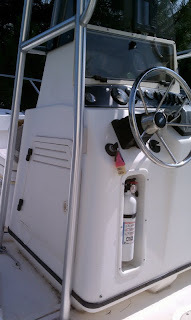 On the side of the console of our boat there is this little door. If you bend over and take a peek inside you will undoubtedly find all the life jackets, our boat bag, and some fishing tackle. 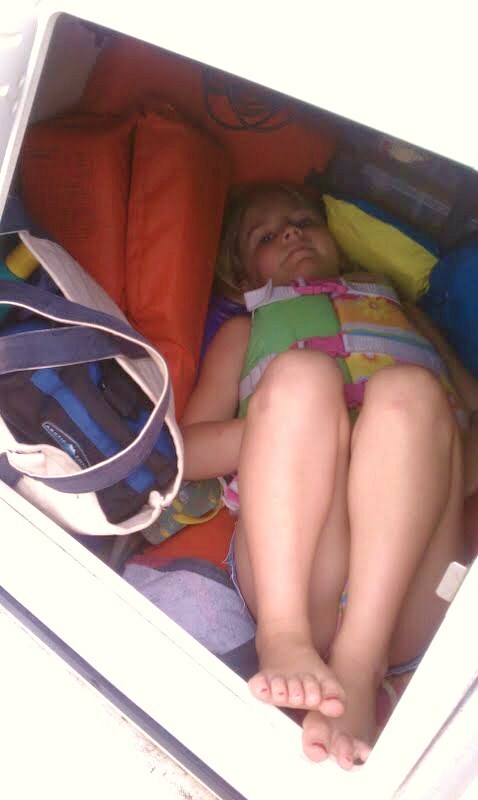 Guess this little nook is also the perfect place to curl up for a nap while enjoying a day on the boat.